Shopping for Back to the Future Ice Cube Trays? Planning on making a scientific breakthrough? Breaking the time barrier? Asking your mom to the school dance? Then why not celebrate with a cool drink using your very own ice cubes from Back to the Future! 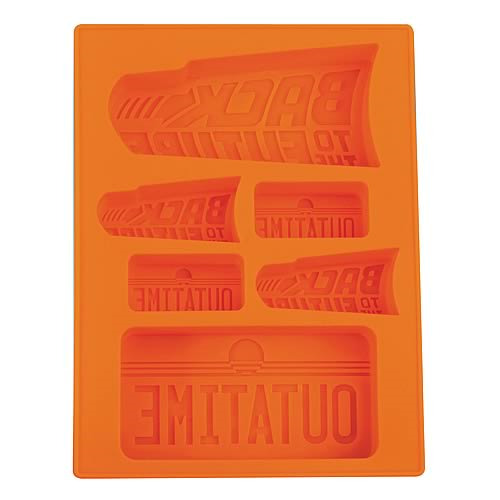 This Back to the Future Silicone Ice Cube Tray features various sized molds of the Back to the Future logo and the OUTATIME license plate. Plus, this silicone rubber tray is so great that it can be used to make both ice and chocolate! Ages 8 and up.